Chances are that if you’re using iPhone you rely on iMessage on a daily basis. Introduced in 2011 as an instant messaging service that’s built right into the Messages app (which also supports all of iPhone’s SMS and MMS functionality), iMessage has immediately achieved near 100% adoption among iPhone users. To this day, even amongst the abundance of free messaging apps from all kinds of tech companies, iMessage remains a true favorite for millions of people. For good reasons too. It’s pre-installed by default. It’s fast. It integrates seamlessly with the SMS protocol, so that even when there’s no WiFi, iMessage would convert what you’ve sent into an SMS or MMS and deliver it that way. Most of all, however, iMessage is incredibly secure. Each device using the service is encrypted (AES-128) with both a public and private set of keys, so no one except for the sender and receiver is able to read or even decrypt your messages. 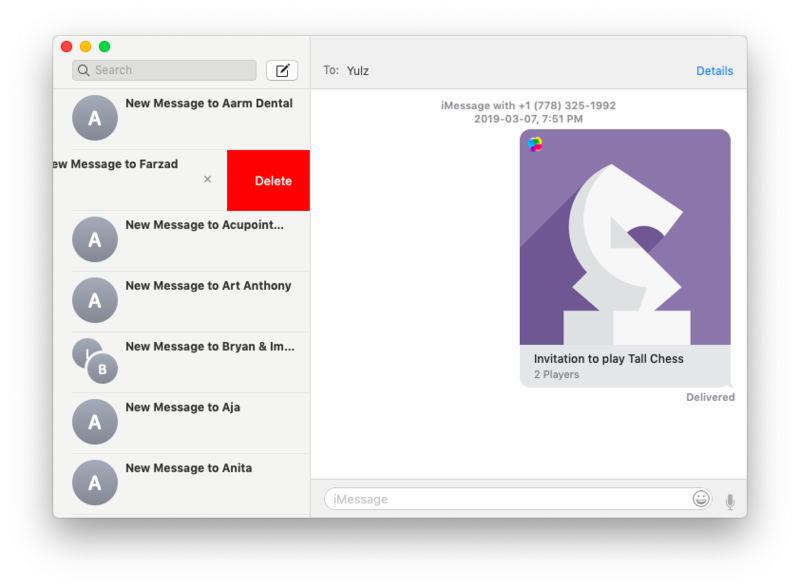 Although you can’t get the iMessage online version, the service offers a full-featured iMessage on Mac, which can even be used as a standalone product altogether. 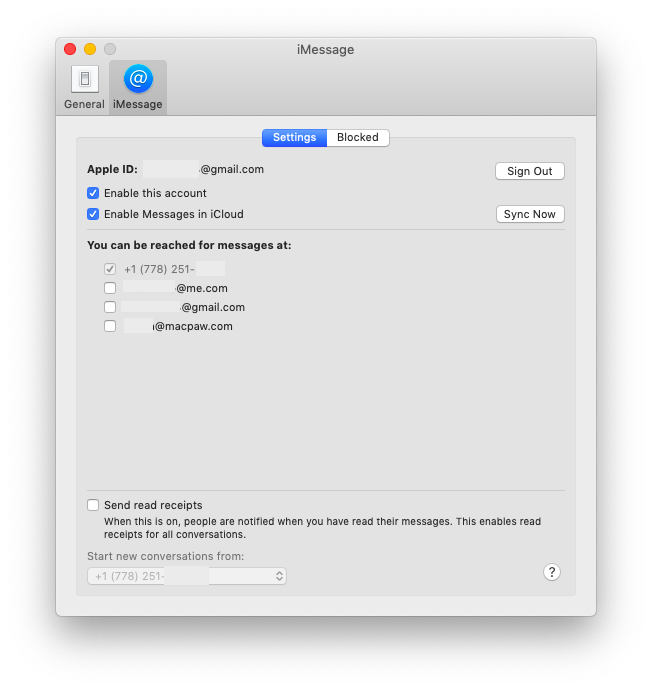 Here, we’ll cover how to get iMessage on Mac, what to do with iMessages not working on Mac, and give you a few useful hacks as well. Good news is that iMessage comes with your Mac by default. So if you’ve never launched it before, simply go to your Applications folder and open it from there. 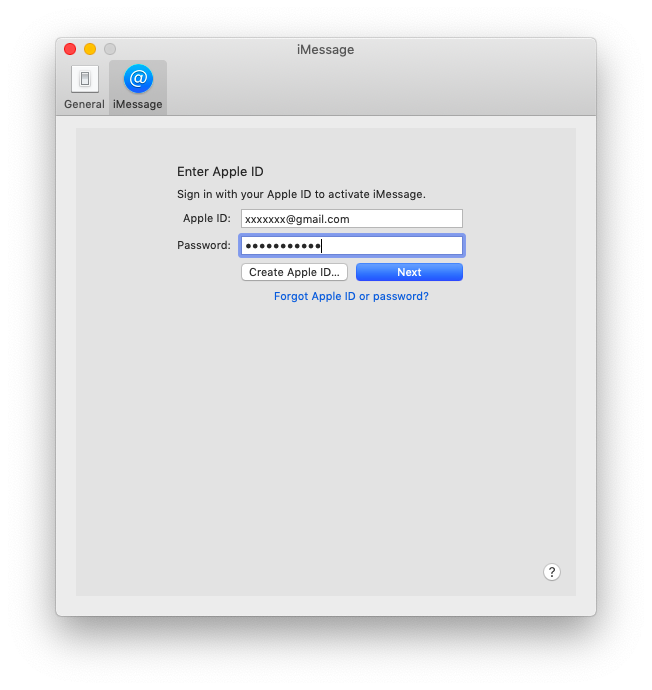 To set up iMessage on Mac, simply log in with your iCloud credentials. Right after logging in, you’ll see a small configuration menu. 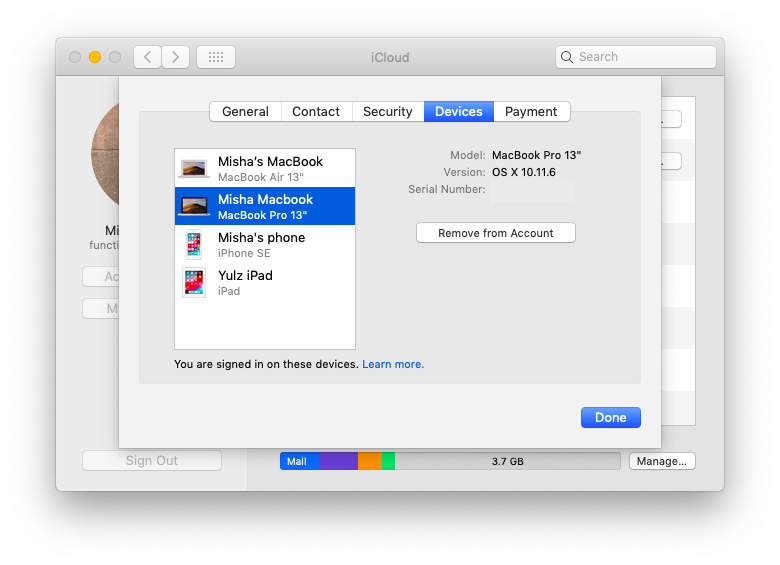 Here, make sure that “Enable this account” and “Enable Messages in iCloud” are both checked. If you’re wondering how to sync iMessage to Mac, just click Sync Now to get all your message history downloaded so you don’t start afresh. Finally, choose how you’d like to be contacted by checking the boxes next to your phone and email addresses. 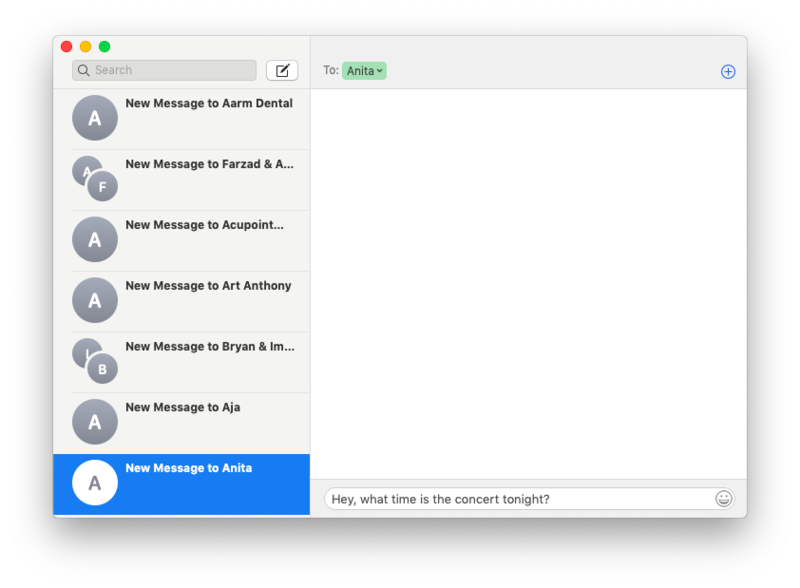 Now your iMessage for Mac is properly set up. You can start new conversations from your Mac and continue them on your iPhone, and vice versa. And when you get a new message, it will arrive to both your Mac and iPhone. Just choose where it’s more convenient to reply. Without a doubt, iMessage is one of the most simple messengers to use. But that simplicity doesn’t imply lack of features in any shape or form. iMessage is capable of delivering top-speed performance along with all the features you’ll ever need. Start entering your recipient’s name or phone, and the Contacts app will suggest the people you know. You can add more than one person that way. If you want to browse your contacts first, click on the plus icon to open the list. If you want to delete an existing Tapback from one of your messages, simply right-click on it and choose Delete. If you want Do Not Disturb turned on for your whole Mac, swipe left with two fingers right from the corner of your trackpad to activate your Notification Center and toggle the Do Not Disturb option there. Finally, if you want to delete an iMessage conversation, you can right-click on it and choose Delete Conversation. Alternatively, swiping left with two fingers would remove it as well. Following the guide above should set up automatic iMessage syncing with iCloud. But sometimes iCloud doesn’t behave in the most flawless way. You may experience your messages being delayed or your contacts not being auto-completed. 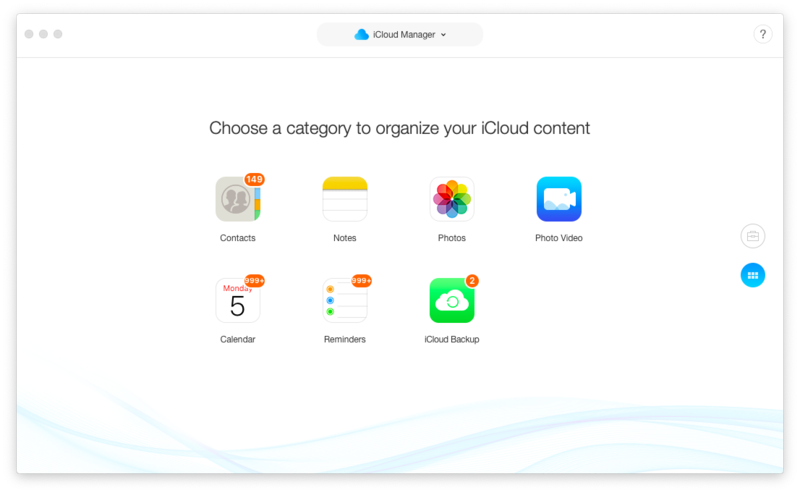 To resolve this, you should take iCloud syncing under some manual control via AnyTrans, which is a smart content manager and transfer tool between your iPhone and Mac. AnyTrans allows you to easily manage backups, iCloud sync, media (e.g. photos or even ringtones), and even apps. In some ways AnyTrans knows what to do with iMessage not syncing on Mac better than iCloud. Similarly, you can fix sync problems with Reminders, Calendar, and Notes. When your conversations in iMessage remain out of sync whatever you do or even refuse to be sent altogether, there are a few other troubleshooting options you have at your disposal. First, check whether the iMessage online server is down. 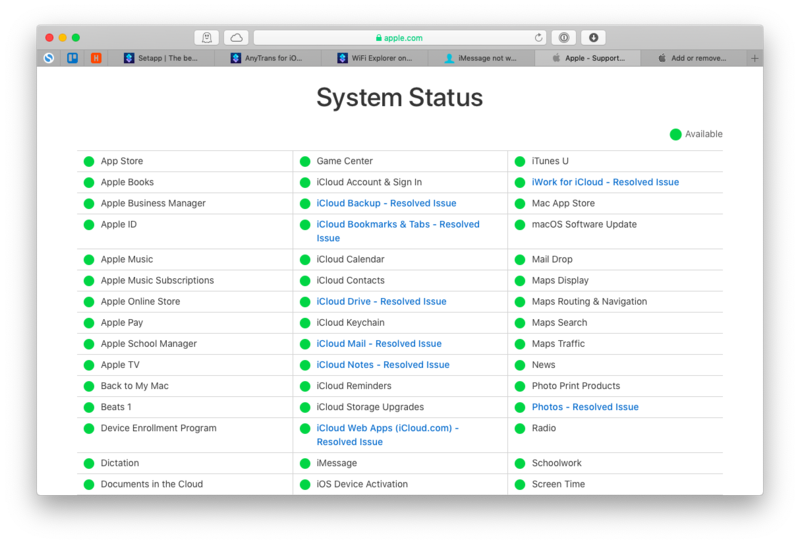 You can see the status of all Apple servers on their website. If you see that the iMessage service is off, contact Apple support for more information. Second, check your own WiFi connection. Unlike SMS, iMessage needs to be connected to the internet to work properly. See if your browser pages are refreshing and try to turn the WiFi off and back on again. If that doesn’t help, use an analyzer tool such as WiFi Explorer to get to the root of the problem. Simply launch WiFi Explorer and it will show you all available WiFi connections along with signal strength and the exact timeline of connection quality. When you pin down the issue, read the solution in the extensive WiFi Explorer’s manual or contact your internet service provider for help. 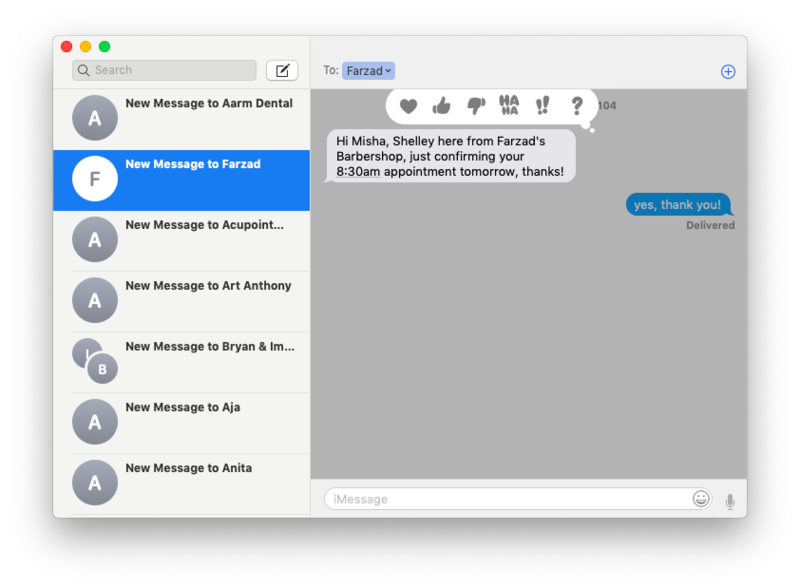 Overall, iMessage on Mac is one of the most intuitive instant messengers on the market and setting it up should cause no issues whatsoever. 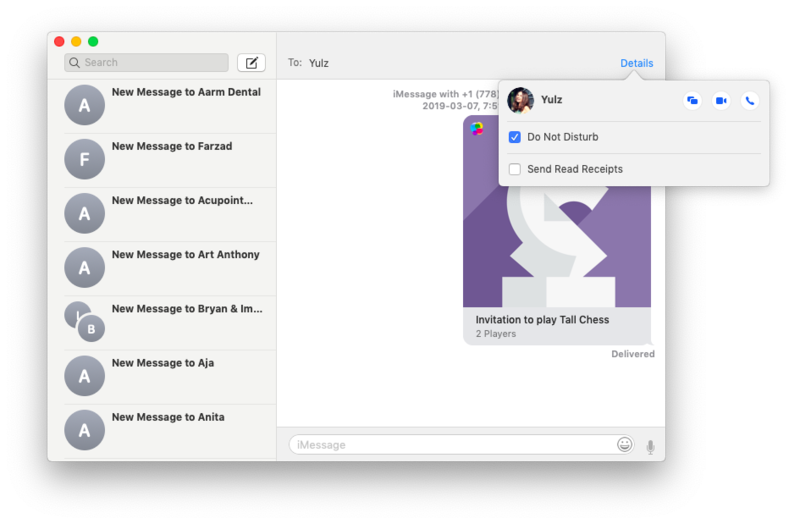 But if you experience iMessage not syncing on Mac, try managing the synchronization manually through AnyTrans. And if the issues persist, check the state of Apple servers and analyze your own WiFi connection with WiFi Explorer. 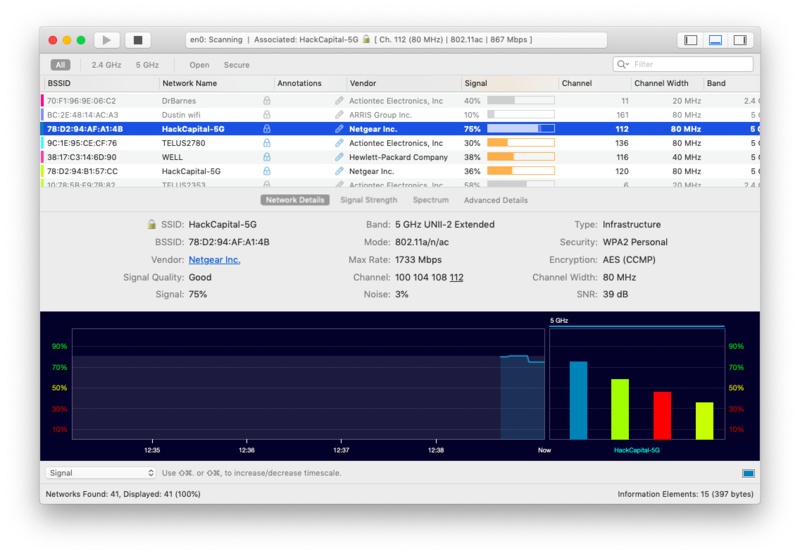 Best of all, you can try both AnyTrans and WiFi Explorer for free through Setapp, a platform of more than 130 helpful Mac utilities and apps that can quickly help you resolve any situation. Now that your iMessage is set up, try not to drown in the sea of incoming communication!